Student teaching in Chicago seemed far-fetched for a small town girl like me. However, when the opportunity presented itself, I could not help but feel intrigued and excited at the chance to step outside my comfort zone and grow personally and professionally. 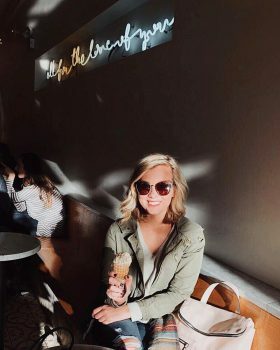 My name is Emilee Livesay and I am starting my 4th week at Chicago Semester. The first week was spent in orientation getting acclimated to my new home, the city, and public transportation. The second week I started my student teaching at Robert Healey Elementary School. I am placed in a second grade classroom and although I am only three weeks in, I have already been exposed to more than I had hoped for. 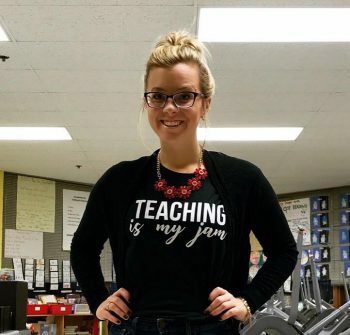 Student teaching in an urban setting provides an environment of diversity that I was not able to experience in the more rural setting I was accustom to. I believe this opportunity is giving me the tools I need to be a confident and well-rounded educator. After three weeks in the program I have had many rewarding experiences with my student teaching, along with a few challenges. I quickly learned that as a teacher, you are not necessarily there to be a student’s “friend,” but rather someone to guide them along their educational journey. You are to be a model for them, as you treat them with respect and kindness. I find this to have been a big eye opener for me, while also helping me grow as a teacher. Along with this, I am getting to know know my students better by hosting “donuts and conversation” each morning with one individual student. During this time, students are given a donut and choice of drink, while also conversing with me about their interests, hobbies, and favorite ways to learn. I have loved connecting with my students in this way. I was quick to jump in, as I started to lead morning meeting my second day in the classroom. It is during this time that I am striving to create stronger citizens, as students are asked to greet one another properly each morning before starting the meeting. I have a classroom of 29 students, each with their own personality, and it is never the same day in room 222. I look forward to sharing with you my growth alongside my students throughout this semester. You cannot come to Chicago and not grow personally as well. The city has many fun and educational things to explore and learn about. I have made a bucket list with another Chicago Semester student and the list includes several points of interest in the city that we hope to experience throughout our stay here. We have spent time doing the ‘normal’ things like shopping, eating, and ice skating, but we have also started on our bucket list. We spent a day in the Wicker Park neighborhood where we ate at Jenni’s Ice Cream shop, admired murals, and explored the thrift stores. This was enjoyable and eye opening. 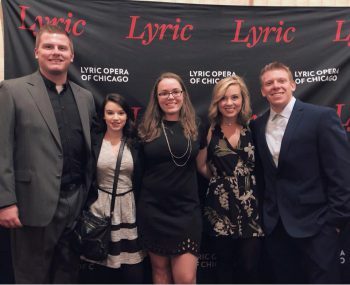 In addition to doing this on our own time, we have also been to the Lyric Opera with the Chicago Semester program. Along with what we do in our own time, the program offers several events throughout the semester to participate in. One event that I am really looking forward to is our progressive dinner. This event will consist of the Chicago Semester students hosting each other in our apartments for various good food. Along with this event are many art events that we are fortunate enough to attend. Through these events, I know that I am going to be getting a once in a lifetime experience.